According to Penguin Random House’s website, Lauren’s new book, “Talking As Fast As I Can” will be released on November 29! 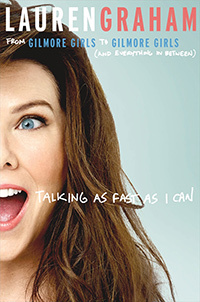 In this collection of personal essays, the beloved star of Gilmore Girls and Parenthood reveals stories about life, love, and working as a woman in Hollywood—along with behind-the-scenes dispatches from the set of the new Gilmore Girls, where she plays the fast-talking Lorelai Gilmore once again. It’s great to have an acting job in the age of Reality TV.